Do you use role models to aspire to? 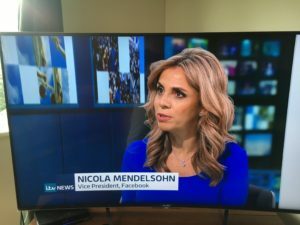 Yesterday there was a news item featuring Facebook, with the Vice President Nicola Mendelsohn, talking about the need to give more confidence, especially to women, to start their own businesses. 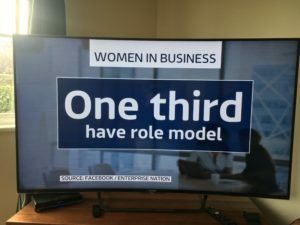 They stated that one third of the women they surveyed had role models they aspire to. In this feature, they talked about role models and how we all need to aspire to someone. The great thing about what they said was that we need normal people not celebrities or the wealthy; we need people we can relate to that show us the way but aren’t out of reach. This got me thinking about role models, do I use them, are there people that I want to be like? I think I have different people in different situations. Moments when I want to mirror behaviour, the thought comes into my mind “what would xxxx person do in this situation. Role Models are clearly a big part of setting a culture in society and in our own lives. It saddens me enormously how the TV allows ‘role models’ to talk to small businesses or entrepreneurial people as thought they are idiots. The grilling and disgrace they like to give on Dragons Den, the way Alan Sugar talks to the people that, while they are not always great examples of our nations skills, they are trying and perhaps more encouragement and less disdain might spark more learning and achievement, surely using fear is out dated. This is bad role modeling. I have asked Millennials when I talk about starting a business, who are your ‘role models’, I have to say, I am not overly excited when they say the celebrities that they ‘follow’. Time for some new role models that we can aspire to be like, and to me that is the hard working, innovative, determined small business owner. I would love a program that showed the real lives and trials and achievements of people like us. 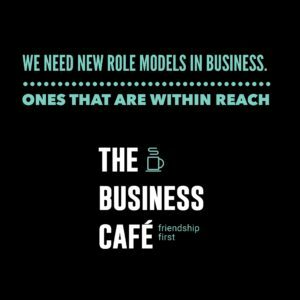 This has inspired me to think about how we can achieve this through our Cafe network, as we open them across the UK, highlight the local business heroes. To me those are my Role Models. So many of you in this community that inspire, teach and share.